Concrete batching is a specialized industry and one that forms one of the backbones of any country’s infrastructure. Concrete has numerous applications – buildings, roads, bridges and drains can all be manufactured using concrete. Concrete is actually the most commonly found man-made material on the planet. It is a mix of cement, water and some description of gravel, rock or sand (commonly known as aggregate). Cement itself is another type of manmade material, created by mixing limestone with other materials such as clay. The process of creating concrete involves the batching and mixing of the separate ingredients in specific quantities. If the measurements of these ingredients are not accurate, then the resulting concrete will not be fit for use. It will either be too hard and set before it has met it’s purpose, or be too soft and, therefore break and crack when placed under pressure. In order to gauge the right quantities for batching concrete, it is crucial that you have accurate scales for concrete batching plants. A concrete batching plant is a large-scale operation, meaning the entire facility will typically cost millions of dollars to build and maintain. With such an expense there is always the temptation to cut costs, but when it comes to your scales, you should not skimp on the resources that you allocate to this extremely important component of your entire operation. The general rule is that you pay for accuracy, and the cheaper your scale, the less accurate it is likely to be. The majority of scales that are likely used at a concrete batching plant will have digital indicators. You will need accurate scales to measure out all the separate elements that go into making concrete – aggregate, cement, water and pigments, if required. 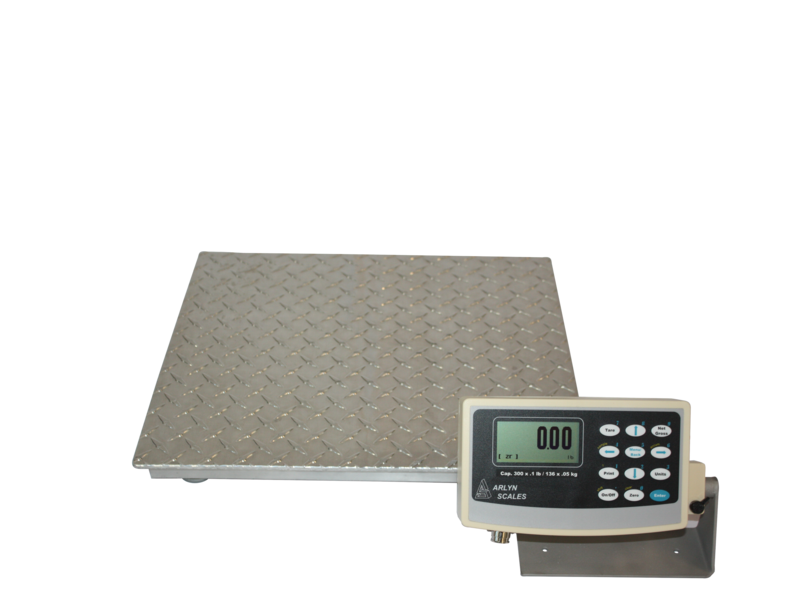 Digital scales are extremely easy to use and offer highly precise readings without some of the issues that are common with antiquated analog scales. 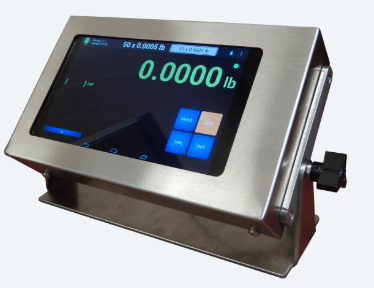 Digital scales are all about load cells. A load cell converts the force that an object creates when being weighed (i.e. the force it exerts towards the center of the Earth thanks to gravity) into an electrical potential signal, which is measured in volts – the more force, the more volts. The digital indicator converts the number of volts into a reading, which estimates the weight of the object that is being measured. This method raises one important question – how does the indicator know how many volts equals how many pounds? The answer is by calibration. The electronic components within the indicator “know” how to perform the conversion, and are factory-set or programmed to provide this conversion process. Once you understand this, one further aspect of a digital scale becomes clear. The better the standard of electronic components within the indicator, the more accurate the readings. Also, poorly-constructed electronic components degrade over time, meaning your scales will become less and less accurate before they eventually fail. If you want accurate measurements – something that is absolutely crucial when dealing with concrete batching – then skimping on your digital scales is a definite issue that will see you providing your clients with a poor quality product. Here at Arlyn Scales, we can provide you with scales and digital indicators that will provide you with the most accurate measurements possible when it comes to the important task of making sure you have the right proportions of material for successful batching. We are able to provide you with standalone scales or to fit scales and indicators to your existing infrastructure – buckets, transports and the like. We only manufacture our scales from the best quality materials, and our indicators use only high quality electronic components. They are precisely calibrated during the construction process so that they will only give highly accurate readings – and they will continue to give highly accurate readings throughout their lifetime without the constant need for recalibration. We’ve recently released a completely revamped Arlyn UpScale Digital Indicator, which is in a class by itself when it comes to display indicators. It’s powered by a Quad Core processor and features a 7“ Android touchscreen that allows you to easily control your scale with relative ease. Having all of a scale’s features available at your fingertips is something that should be extremely beneficial for concrete batching plants that are processing massive amounts of material on a daily basis. For more information on what our team here at Arlyn Scales can do for you, give our customer support line a call today at 800-645-4301 or use the online contact form on our website.